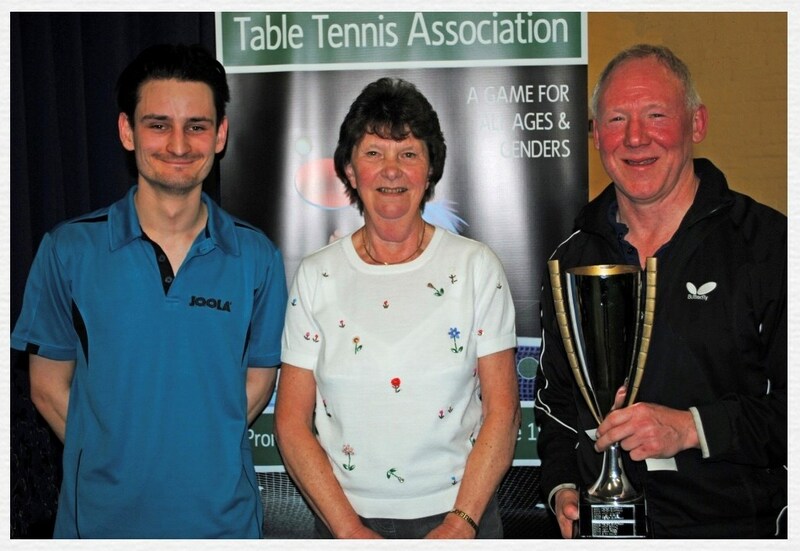 The Worthing & District Table Tennis Association season ended with the Invitation Cup competition at North Lancing School where six of the top players from the area contended for the cup, watched by an audience of more than seventy people. After an exciting evening of high quality table tennis the cup was won by Peter Bartram (ranked 31 in the England Veterans list) who defeated Mark Collins (ranked 148 in England) 12/10 9/11 11/5 12/10 in a closely contested final. The cup was presented by the Association President Jenny Mansell. The Jim Holden Trophy for the most improved junior player was awarded to Jayden Slatter. Earlier in the season, the President's Cup handicap competition was won by Woodlands I, who beat Woodlands H in the final by 23.5 points. The clubs continue to meet throughout the year and details can be found on our website.